Zhanara Akhmet at Kyiv regional court, January 2018. Source: Facebook. In March 2017, Zhanara Akhmet packed two rucksacks: one for herself and one for her 10-year-old son. Soon afterward, Zhanara and her son left their home in Almaty, Kazakhstan. If she didn’t, her lawyers told her, the journalist would soon be arrested for her reporting. As they were walking out, she looked into her son’s eyes, squeezed his hand and tried to smile reassuringly. Akhmet hugged him and promised they’d find a safe place. They spent the next 65 hours on the run. 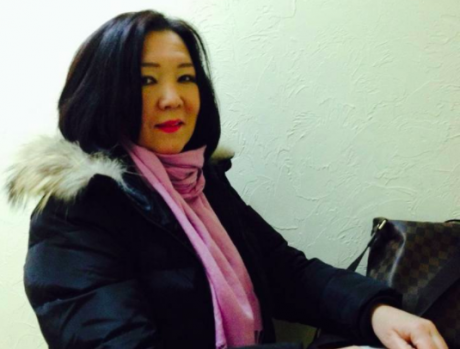 Since 2013, when she started covering the activities of Kazakh human rights defender Yermek Narymbayev, Akhmet had been frequently harassed by the government for her work. But in 2017, the Kazakh authorities launched three administrative and two criminal cases against her, including charges of political extremism, for her investigative reporting and news coverage, as well as jaywalking, for good measure. Akhmet’s case is one of many in Eurasia. According to Freedom House’s Freedom in the World 2018 report, most Eurasian countries are at the very bottom of the list in terms of fundamental freedom indicators. With the rise of authoritarianism, the guardians of those fundamental freedoms – human rights activists, journalists, lawyers and other civil society actors – are increasingly becoming targets of state harassment. Unable to reinforce the rule of law and protection mechanisms at home, in some of the gravest cases civil society members have no other way but to flee in search of safety. Unfortunately, the number of safe havens is rapidly dropping. Ironically, the Iron Curtain may have fallen long ago for everyone except civil society actors – people who advocate for the values espoused by western states. No matter how grave the threats, without a Schengen visa, activists often have few options left. In Eurasia, possible destinations include Kyrgyzstan, Ukraine and Georgia – states that are somewhat more democratic and respectful of the rule of law, according to Human Rights Watch’s World Report. But recent developments show that these states are also failing to provide safety and protection to fleeing civil society actors. According to Kauzlarich, human rights and fundamental freedoms across the region are at stake when countries like Georgia or Ukraine, for which there was “some hope in the west that the political process was moving in the right direction”, renege on their human rights commitments. On a gloomy morning in late May 2017, Leyla Mustafayeva woke up in her Tbilisi apartment with an uneasy feeling that something was wrong. Mustafayeva, who’d been living in the city for more than two years, is a journalist and wife of Azerbaijani investigative journalist Afgan Mukhtarli. Mustafayeva rushed to the local police station a few blocks away. Walking briskly up – and downhill through the windy streets, she tried to comfort herself thinking they’d lived in a part of town very close to the city centre. The area was littered with video surveillance cameras trained in every direction, the majority operated by the Georgian police. On the way to the station, Mustafayeva passed a large number of restaurants, banks and small shops in this lively part of Tbilisi that was just waking up, taking mental note of their own surveillance cameras. Unlike law enforcement, Georgia’s civil society reacted strongly to the prosecution of Afgan Mukhtarli. Natia Tavberidze, coordinator at Human Rights House Tbilisi, says that the incident was on top of the agenda for the civil society. “The government saw how civil society reacted,” Tavberidze adds, noting that before the apparent kidnapping, the issue of Azerbaijani activists living in Georgia wasn’t a prominent one. But while Georgian civil society was strongly supportive, Azerbaijani dissidents started reporting that they didn’t feel safe in Georgia anymore. To many, this posed a question whether Georgia was no longer a safe hub for the fleeing activists. But Georgia is not the only safe haven where things started changing. 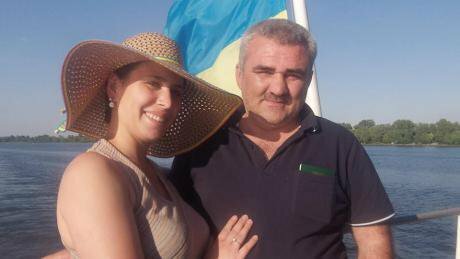 On 21 October 2017, Zhanara Akhmet was reading in her apartment in Kyiv, Ukraine when the lights suddenly went off. “I thought, this is weird. I opened the door to look into the hallway, and suddenly somebody grabbed my arm above the elbow and dragged me out. There were a few men in plain clothes, they forced me to follow them to the courtyard downstairs where there were two cars. These men started twisting my arms, pushing me into one of the cars and telling me there is an Interpol Red Notice on me. I started screaming for help, and at that time, my son who was playing in the courtyard, heard my voice and ran to me. I remember seeing horror in his eyes,” she says gasping, her voice trembling. The men didn’t provide any credentials, so Akhmet screamed at the top of her lungs until the apartment complex’s security arrived, and then she asked to call the police. When the police came, Akhmet was taken to a detention centre. Ukraine is perceived as a “more or less democratic country in the post-Soviet space, but, unfortunately, there were recently a number of cases where bilateral agreements and Interpol Red Notices were used by authoritarian governments to harass activists that found refuge here,” explains Maria Tomak from the Media Initiative for Human Rights in Kyiv. Red Notice is an alert system that Interpol member countries’ law-enforcement agencies use to put criminals on “wanted” lists. Authoritarian regimes use this system to hunt critics. Ukraine is a member of the Minsk Convention (for Eurasia region states) and the European Convention (for European states), explains Boris Zakharov, director of the Lawyers Center of the Ukraine Helsinki Union for Human Rights, adding that Ukrainian authorities claim that they only abide by the European Convention. According to this convention, a person can be detained for 18 days until the country that submitted documents with Interpol for a Red Notice provides further clarifications and evidence. Also, according to Ukrainian legislation, temporary arrest is compulsory and cannot be substituted with a fine or a release on bail. After temporary arrest comes extradition arrest, which usually lasts for two months, but can be replaced by release on bail. However, Zakharov says, when processes are happening “within the law [as is the case with Red Notices],” then “we can fight, and we haven’t lost a single case, even during president Viktor Yanukovych’s time.” The biggest problem, he says, is “the formal and informal collaboration between post-Soviet security services. We have lots of such cases. And we see that Ukraine's security services are for some reason interested in this”. Zakharov cites the case of Fikret Huseynli, an Azerbaijani dissident who became a Dutch citizen, as an example of cooperation between the security services of Eurasian states. “He came to Kyiv on 7 October 2017, to open the office of the opposition Turan TV. 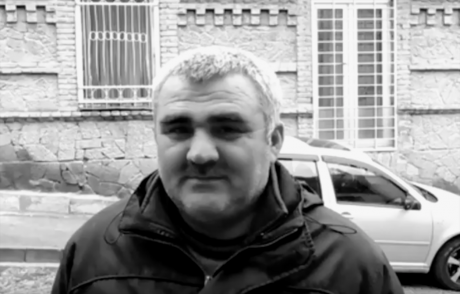 On 10 October, the Azerbaijani authorities filed a Red Notice against him, and he was detained on 13 October.” After being trapped for months in Ukraine, Huseynli was viciously attacked at his Kyiv apartment on 5 March in a kidnapping attempt by men who presented themselves as Ukrainian police. Maria Tomak, who has also encountered these kind of cases in her work, adds that “while Ukraine’s law enforcement agencies sometimes don’t know how to deal with such cases, we see good support from Ukrainian civil society and media.” Akhmet echoes Tomak’s praise for Ukraine’s supportive civil society , but says her case was a vivid example of the Kazakh government’s involvement and pressure. “I was released, but I rarely go out these days. I don’t walk outside in the evenings. I don’t feel safe,” she adds. Back in Germany, Mustafayeva is wondering whether there’s any place where dissidents feel safe. One of the most vivid examples of an authoritarian regime targeting activists inside the EU is Turkey. 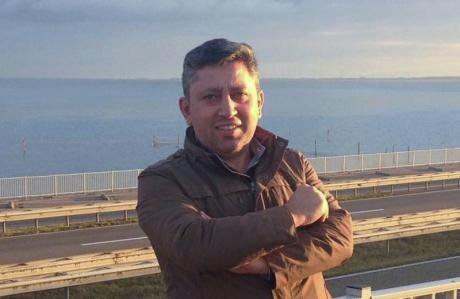 The Turkish government, notorious for its determination to target dissidents globally and particularly in the EU, went to a new extreme in late February. Turkey’s authorities issued an Interpol Red Notice that resulted in Czech authorities arresting Salih Muslim, former head of the Kurdish Democratic Union Party in Syria and a Syrian citizen. 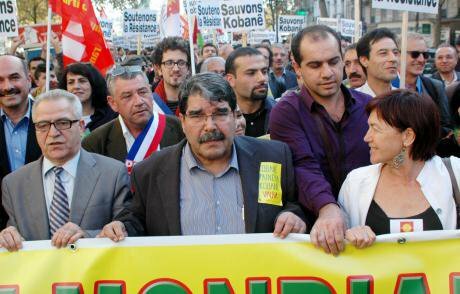 PYD leader Salih Muslim marches during a rally in support of Kobane in November 2014 in Paris. (c) Apaydin Alain/ABACA/PA Images. All rights reserved.According to Burç, Turkey now not only prosecutes its own citizens, but even those of other countries. She adds that it was clear that nothing would come of this as the charges were fabricated. “Muslim was one of the people who mediated between the YPG and Turkey, he was in Ankara, he was welcomed, but now the narrative changed, and now anyone in his situation is being accused,” she adds. Jens Uwe Thomas from Reporters without Borders says the German government is generally very careful when it comes to Interpol’s requests for arrests. He says due to the high presence of Turkish dissidents in Germany and their active advocacy directed at the German authorities, the government has been continuously supportive. Thomas cites two recent cases in which the German government was actively involved – one of Turkish-German writer Doğan Akhanlı, who was released after being detained in Spain, and that of Deniz Yücel, the recently released Turkish German Die Welt journalist. But while Germany is one of those countries taking a strong stand on Turkey’s crackdown, many other countries continuously abuse the system in order to further prosecute activists. Valko, who calls Interpol a “large, fat, clumsy machine”, says the organisation needs to review some of its practices. Interpol: a large, fat, clumsy machine? Bruno Min, Legal and Policy officer at Fair Trials, a London-based NGO that closely works with the Interpol, says that there have been some positive reforms at the organisation and cites Fair Trials’ 2017 report. “In 2016, Interpol introduced timeframes. Now, requests for access to information sent to them have to be considered within four months, and requests for removals of the names from the Red Notices lists within nine months,” he says, adding that before one could wait for years prior to hearing back from the organisation. Another change is related to the organisation’s refugee policy. Now, if a person is granted a refugee status in the country to where they fled, the Red Notice against them that originated in the country they had fled is deleted. If a Red Notice is issued concurrently with the person’s asylum application, “there’s no procedure for that case, but an argument can be made,” Min says, adding that the Interpol also has political neutrality and respect for human rights provisions under which it operates. Among solutions to the Red Notice dilemma, Min suggests closer interactions with Interpol, pointing to the increasing number of extradition lawyers who are concerned with the existing procedures. Zhanara Akhmet, whom Fair Trials helped remove her name from the Interpol list, however, says that the solution has to be more complex than simply addressing the Red Notice system, and include multiple components that would help strengthen regional safe hubs. Civil society actors, victims and western diplomats involved in this process echo Akhmet’s concern. Interpol is only one of the many tools dictators use to reach activists: kidnappings, surveillance, loopholes in other countries’ legislation and close cooperation between law enforcement agencies have been used in multiple cases as well. In cases of arrests and other attacks, Rosa Burç says, public support from local communities (whether in Prague, Berlin or Kyiv) could change things for the better. Ali Feruz, the Uzbek journalist who spent months in Russian prison in fear of extradition to Uzbekistan, and was finally able to leave for Germany in February 2018, says he’s been waiting for his Schengen visa forever, and therefore simpler visa procedures and local safe hubs in Eurasia are important.